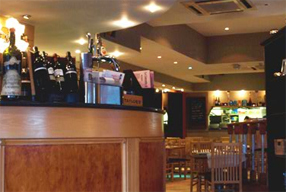 Fellinis Restaurant in Middlesbrough - Whether you are looking to have a relaxed family meal, a romantic evening for two or a formal business lunch, not to mention those party nights with work, Fellinis has a welcome for all. With its spacious, continental style main restaurant and separate 1st floor wine bar, we have the perfect setting whatever your mood. They pride themselves on working with farmers and producers who care. All products comes from trusted and responsible sources, preferably local. Most of all, we pride ourselves on being a truly child friendly restaurant where children eat FREE. All content Copyright This is Middlesbrough.